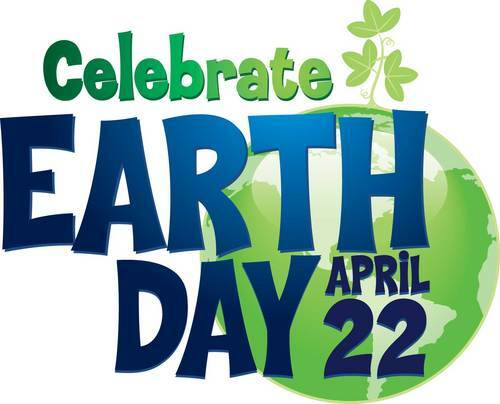 It’s been over 40 years since the first Earth Day, celebrated in 1970. Since then, the environmental movement has grown by leaps and bounds. It’s no longer seen as weird or fringe to be green – it’s a part of everyday life. Many environmental groups got their start here in the Bay Area and California has often been in the forefront of environmental initiatives and on-the-ground changes in how we live our lives and use resources. Don’t miss these Bay Area activities and groups to help you celebrate the spirit of Earth Day. Volunteers are needed at select California state parks on Saturday, April 16, 2016 for the 18th California State Parks Foundation’s (CSPF) Earth Day Restoration and Cleanup presented by Pacific Gas and Electric Company (PG&E). Individuals, groups or businesses interested in volunteering on Earth Day should register at calparks.org/earthday or call 1-888-98-PARKS. Registration opens March 2016. Local Bay Area influential leaders, community organizations, eco-activists and green businesses bring you San Francisco’s Official Earth Day celebration on Saturday, April 16th to their location in the heart of the Mission District! First conceived by United States Senator Gaylord Nelson in 1970, Earth Day has become a major international holiday, and nowhere is that more evident than San Francisco. 2016 marks the 46th Anniversary of Earth Day celebrations worldwide. Read more at CBS SF Events. Enjoy an afternoon of fun, education, Kids activities and entertianment for the entire family. Don’t miss out on this unique chance to see our Bay and introduce your family to Marine Science Institute. Admission is free all-day. See live music from The Banana Slug String Band. Get entertained and educated by Rock Steady Juggling. Plus take a 3-hour trip around the Bay onboard MSI ship, Robert G. Brownlee. There will be food trucks, a live raffle for 49er tickets and chances to win fun-packs to San Francisco Zoo, Exploratorium, Aquarium of the Bay, Walt Disney Museum, Gilroy Gardens and so much more. Did we mention “shark feeding”? Read more at CBS SF Events. Fun and free for the whole family, check out the Earth Day celebration at the Alameda South Shore Center. Enjoy live music from The Harmonics Steel Band! Take your chance at games from The Conscious Carnival as you learn about issues concerning the environment and sustainability. Plus enter a free raffle with eco-friendly prizes hosted by Resilience the Recycle Superhero. Upcycled craft project tables hosted by Camp Galileo and East Bay Depot for Creative Reuse. Celebrate Earth Day by creating art on the beach! Join in as community members, professional artists, and passers-by construct sculpture using sand, rocks, shells, seaweed and other beach treasures. In past years, we’ve stacked rock towers, made spirals from seaweed, planted a forest of “trees” made of driftwood, and created dragons, fairies, and abstract designs. During this playful event, participants work alone and in groups, transforming the beach into an evolving outdoor sculpture gallery. The intention behind the event is to create an experience that will inspire and energize people to care for and protect the earth not only on Earth Day, but throughout the year. The event starts with beach cleanup/habitat restoration. We supply bags and gloves. Read more at CBS SF Events. The David Brower Center hosts the 6th annual Berkeley Vegan Earth Day (BVED) sponsored by Compassionate Living. This fun filled afternoon will be continuing their tradition of bringing the vegan and environmental communities together to celebrate our paralleled vision for a sustainable future. There will be dozens of vendors signed up to share their sustainable foods, eco-friendly products, and epic activism. Sit in on their educational and earth-friendly talks from experts, nutritionists, activists and more!